Our Supply Chain function is integral to keeping the business running and the lights on. We’re transforming our Supply Chain model through the implementation of a full category management capability to better meet the business’ requirements for quality, safety and reliability in what we buy for the best total cost and to ensure mutually beneficial supplier relationships. As the Operations & Enterprise (O&E) Supply Chain group, we’re accountable to develop and implement strategies for the key products and services spend categories that account for over 80% of BC Hydro’s annual $2 billion expenditures. Categories are organized into five portfolios: Enterprise, Major Equipment, Engineering & Technical Services, Materials & Logistics, and Field Support Services. We’re four years into our multi-year transformation journey in O&E Supply Chain, and we have openings for a few Category Lead (CLs) positions. CLs work with cross-functional teams, sponsors and executives to create, implement and manage multi-year category strategies. Our category strategies enable us to be smart about what and how we buy from whom, and in how we work with our suppliers, in order to deliver on BC Hydro’s vision, mission and corporate priorities. • One of the CLs will be assigned to the Engineering Services category and will ideally have expertise in engineering and/or experience with engineering services suppliers. • We also have needs for CL’s in other areas and welcome candidates with a variety of backgrounds and expertise. management (SRM), benefits realization and provide support on contract management. Key to their success is building and managing relationships across internal business groups, stakeholders and suppliers, and being proficient at organizing and managing across projects and constraints to ensure sourcing, SRM, contract management and business process improvement plans are integrated effectively. Our ideal candidates are motivated by achieving results for BC Hydro, the success of their teams, and having mutually beneficial supplier relationships. They are pro-active and take ownership. They are adept at creating and using influence where they do not have control. They have expertise managing cross functional teams and projects gained working in a complex business environment. Candidates will have a proven track record of both developing and executing value-add category, supplier or similar business strategies to achieve specific business outcomes. Our profile person is a blend of strategic and pragmatic with a project management orientation: able to create longer-term strategic plans and able to organize and manage the multiple near term priorities and issues to make progress on the longer term plan every day. Successful candidates will be team players, collaborators with a growth mindset, and able to stay calm and focused in pressured situations. They calibrate their excellent communications and facilitation skills to engage people at all levels to work effectively towards desired outcomes. Their ability to listen and connect the dots allows them to understand, prioritize and integrate business, technical and market trends and requirements to drive business strategies. It is vital that they are able to understand and are comfortable with changing and complex business contexts, and adapt their leadership style to influence others at all levels to get things done. The ideal candidates understand what leadership means in the context of their role and within BC Hydro, and they’re open to learning and evolving their leadership. • Ensures assigned categories are operating in a way that meets performance objectives and in alignment with approved strategies. This includes ensuring plans are in place to manage risks and anticipate future trends, needs, changes. • Leads/Manages development and implementation of: category strategies, sourcing, business process improvements, supplier relationship management (SRM), benefit realization plans and other category management processes; supports the business in contract management. • Is recognized as a Category Expert for assigned categories. Knowledgeable in BC Hydro’s current and likely/possible future business requirements. Understands the current and future supply market. • Contributes to the sustainment and advancement of BC Hydro’s category management framework and processes. • University degree Bachelor’s or equivalent. • 8+ years proven track record of both developing and executing value-add category, supplier or similar business strategies to achieve specific business outcomes. • Experience managing cross-functional project teams in a complex business environment, with multiple stakeholders and strategic considerations. • Experience leading change initiatives using structured project management or equivalent. • Experience communicating effectively verbally and in written form to various levels of audiences. The following Skills/Abilities/Competencies are associated with success for this role. • Quick Learner with Growth Mindset: Must quickly learn BC Hydro processes, category management framework, complex sourcing and the different aspects of our BC Hydro culture (e.g. operations, project delivery, corporate). • Results Oriented Influencer: Always has the outcome and objectives in mind, confident and adept at shifting the thoughts, attitudes and behaviors of others. • Analytical and Forward Thinker: Be able to create insights and ‘aha’ moments by thinking broadly and deeply while considering the overall big picture. • Relationship Builder: Builds relationships by truly seeking to understand business partners’ priorities and their core requirements. • Leadership: Takes accountability of planning and works towards achievements; uses persuasive influence when you don’t have authority. • Communications (written/oral): Conveys information to people clearly and simply, in a way that means things, are understood and get actioned. • Planning & Project Management: Establishes plans through an interactive thinking and organizing process that builds clarity with respect to goal(s) and what is required to achieve the goal(s) and outcomes. • Business Acumen: Be able to accurately assess complex BC Hydro supply market, sourcing and contract situations, what is needed, apply sound judgment and design pragmatic approach to deliver required progress. PLEASE NOTE: Depending on the applicants’ level of qualifications, competencies and experiences they could be hired for Senior Category Lead, Category Lead or Category Management Trainee program. Interested candidates should submit their applications online at https://app.bchydro.com/careers/current_opp.html by January 7th, 2019. 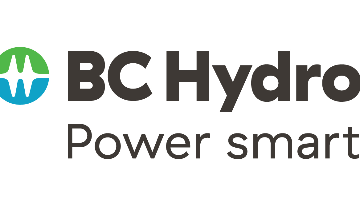 Click here to access the job posting or visit the BC Hydro “Current Opportunities” Careers page to view and apply for jobs.